For the Lions part , Rosalind has appeared as Olivia in Twelfth Night , Dame Chat in Gammer Gurton's Needle , Good Nurture in The Marriage Between Wit and Wisdom , Venelia in The Olde Wives Tale , Kirrey Macload and others in The Story of Mann... And All That , Oenone and Diana in The Arraignment of Paris , Helen of Troy and others in Doctor Faustus , and Prudence in the Christmas Mummer's Play. She has been active in producing and fundraising for the company. Other classical roles are: Olivia in Twelfth Night and Silvia in Two Gentlemen of Verona for the OSC, Cleopatra in Antony and Cleopatra for Theatre Set-Up, and Buckingham in Richard III for the Artemis project. She has toured widely in commercial theatre, including as various murderesses/hit women/strippers/betrayed wives in murder mysteries, thrillers and farces. 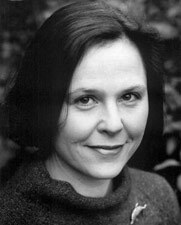 She has played Principal Boy and the front of a cow in panto, given her Miss Julie in Oxford and played Mary Shelley ( Bloody Poetry , tour), Lisa ( Dead Funny , Chelmsford), Vi ( This Happy Breed , Wimbledon) and Martha Livingstone ( Agnes of God at Eye Theatre). She is a member of the Jammy Tarts acappella singing group. Rosalind has just created the role of Peggy Black in the No 1 tour of About Alice in which she starred with Francis Matthews and Gwen Taylor. Hobbies are many and various, and include organic gardening, studying geology, scuba diving, walking, Tai chi and crossing the road in front of speeding cars to make them slow down.